1 Import the Free Fall-02 from the Motion Systems\Free Fall folder. Attach a vehicle to it. 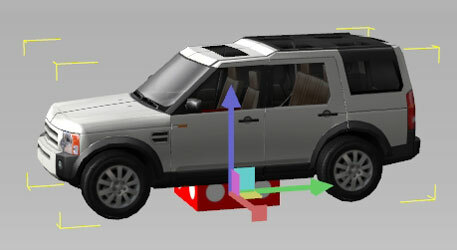 Hint: Highlight the vehicle and select Pick Parent, then click on the dice. 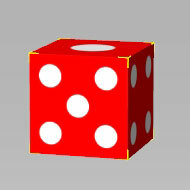 Select the dice and right click on it to perform the Free Fall command. 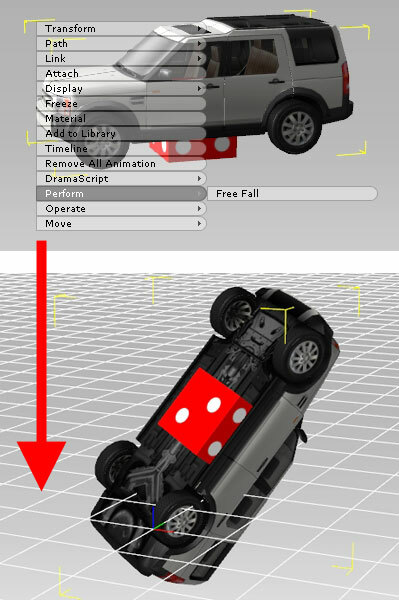 The dice will begin to free fall to the ground with the car. Other movements such as; Vibrate Alert and Zero-Gravity from the Motion System library, can be operated in the same way.